I used to pass off all of my red lipsticks to my grandmother, since I never wanted to fuss with the maintenance of keeping a sharp lip line and even colour. 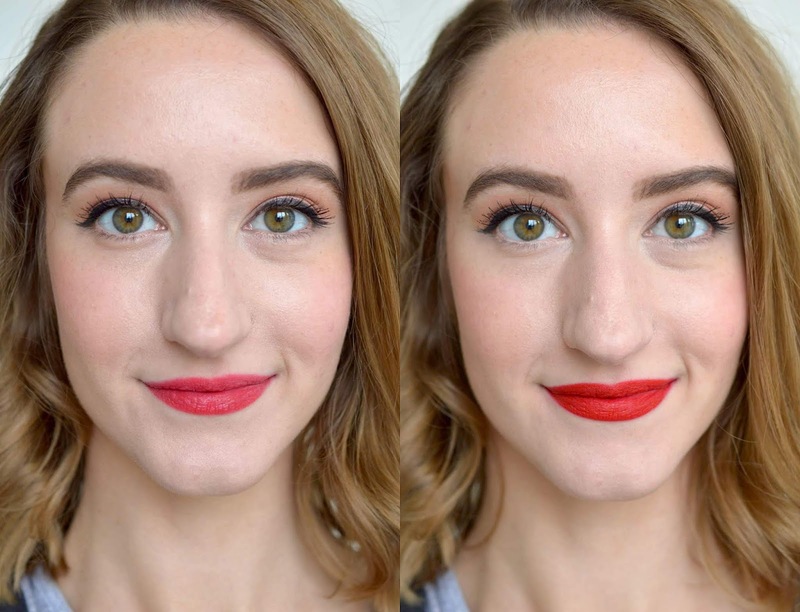 Over the holidays, I realized that it really is the easiest fix to throw on some funky earrings and a fun red lip to completely pull together a look. 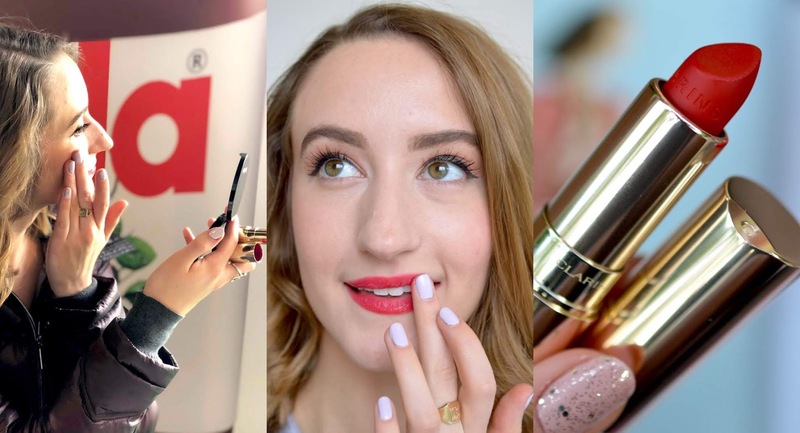 Clarins recently relaunched their iconic Joli Rouge lipstick with a classic, glossy and matte formula, so I tried shade 742 joli rouge in all three formulas. Let's see how they look! I couldn't agree more with this quote, because wearing lipstick can help me achieve that sense of confidence and self-assurance that might be lost when fatigue and stress are looming. 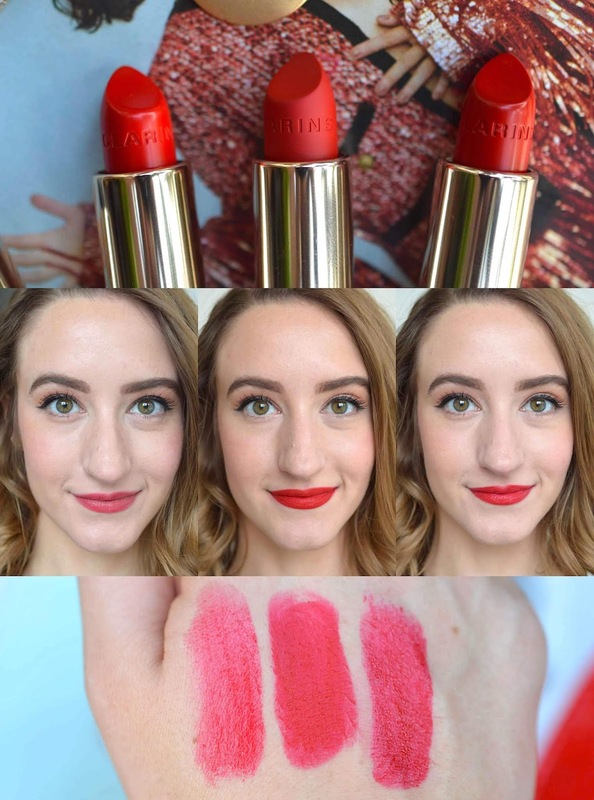 These three lipsticks come in a collective 60 SHADES (!!!) and all have extremely unique finishes. Look to this original formula for classic hydration and 6 hours of long-wear. This lippie has that delectable berry flavour I already love from a bunch of other Clarins lip products, reviewed here. 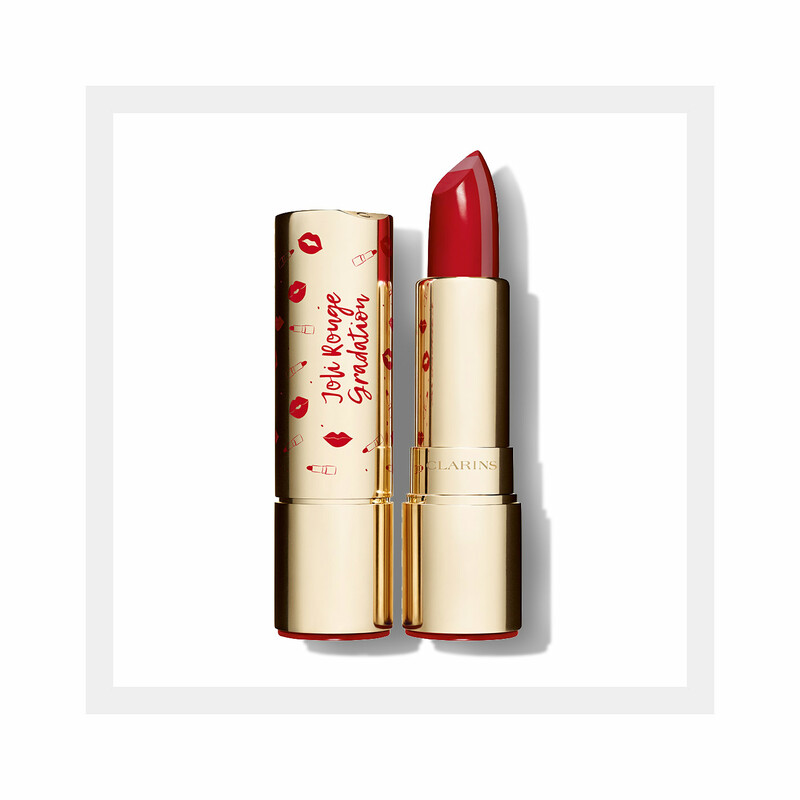 A rich and creamy formula leaves the lips with intense color and a delicate satin finish. It has the perfect level of moisturization for my dry lips, since it is enriched with organic Salicornia extract and mango oil. 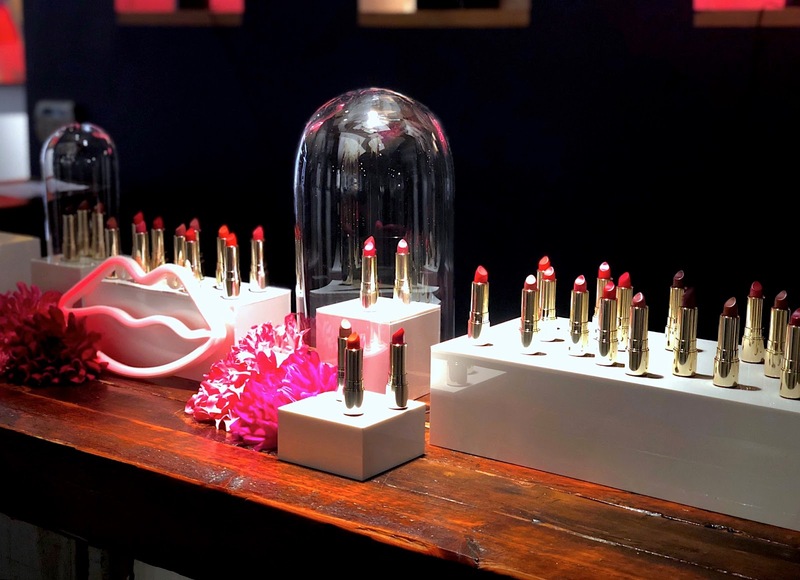 Clarins has now released this legendary lipstick in a luxurious, new matte finish. This hydrating formula somehow strikes a balance between non-drying vivid colour, and a flawless velvet look. The texture is light and creamy, gliding gently onto the lips with ease. It is the longest lasting amongst the three formulas, and packs a serious punch. I first tried dabbing this on my lips for a sheer finish with my finger, and also applied a bit on my cheeks when I forgot to apply blush! I adore this lippie. This juicy and glossy formula hydrates lips for 6 hours while providing flexibility, comfort and brightness. The brilliant effect is thanks to the perfect dose of fine pearls, that glisten with finesse. There is also a "Shine Booster +" complex which multiplies the reflection of light on the lips. I like keeping this one in my bag for a quick pop of colour throughout the afternoon, it's easy to apply without a mirror and has a more natural, glowy finish than the other formulas. 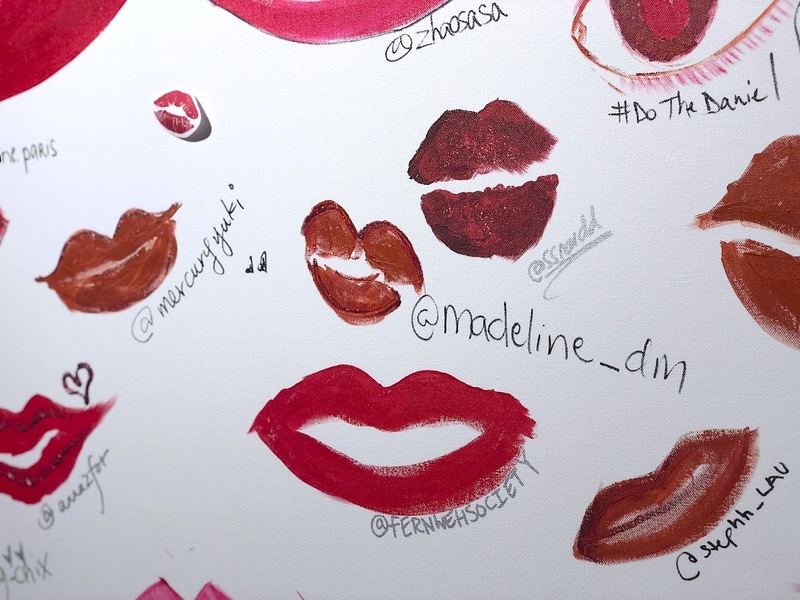 The incredible Clarins lip stains, look at that lasting power!! I wiped with a makeup wipe. 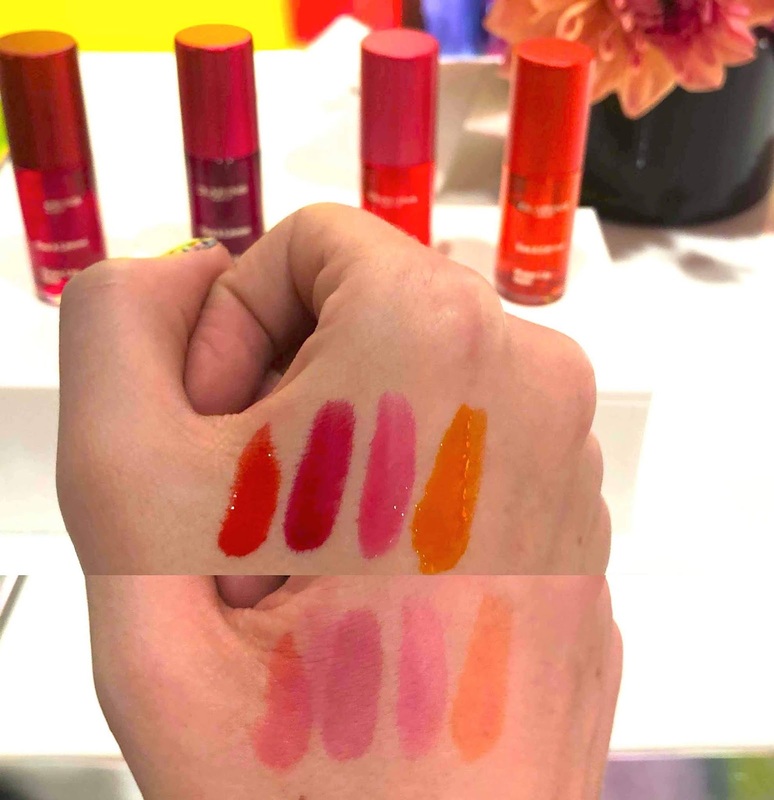 Check out the *limited edition* Joli Rouge Gradation lipstick that comes in 3 variations of tri-colour lipstick, so Instagrammable. For more pics and reviews of these stunning lippies, check out Andy's review here and Shawna's here. Let me know if you pick one up for yourself!